This is the incredible moment two bothers see the colour on their own skin for the very first time, simultaneously, thanks to a surprise birthday gift. In Brisbane, Australia, mum Michelle Elms has a very special gift for her two boys, Jared, 27, and Brock Rawlins, 25, who have both never seen colour before. Handing them both a pair of EnChroma colour-blindness correction glasses, the effect is initially a slow-burner for both boys, but before long Jared calls out, ‘Sweet Jesus,’ as the paper cut-outs before him suddenly come alive with colour. 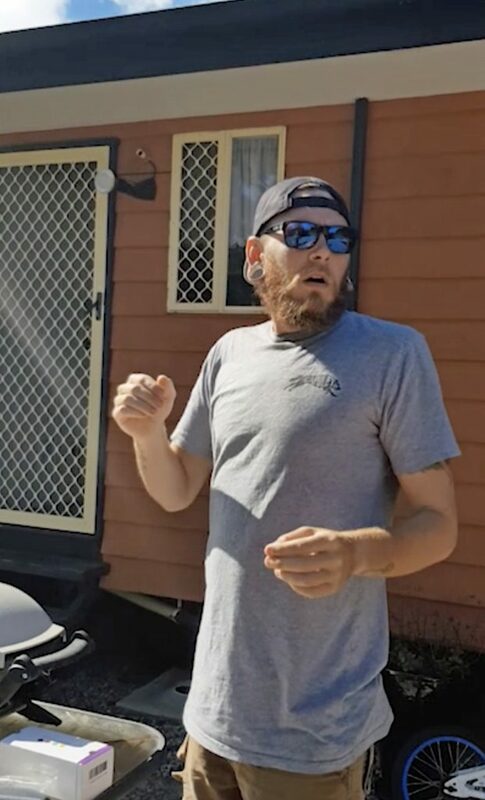 Overwhelmed by all that surrounds him, older brother Jared can’t believe his eyes when he sees the colour of the grass, rust and even his own skin for the first time, jesting that he is actually ‘browner than he thought’. For younger brother Brock, any changes weren’t so instantaneous, but as the advisory 10- to 15-minute adjustment period comes to an end, the red/green colourblind suffer finally notices a drastic change, as holding up a pink dress with Jared, the pair admit they’ve never seen this colour before. 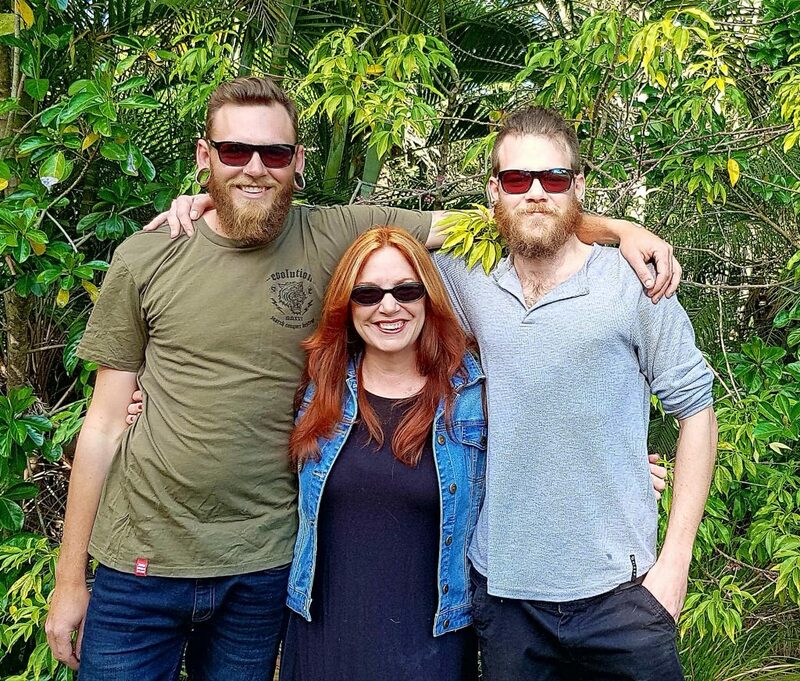 Delighted to see her boys enjoying the world in full clarity, Michelle said: “I found out that the boys were colourblind just before they started school and I felt so guilty. “I was told that colour-blindness is usually inherited from the mother’s side, so I felt like it was my fault. “So, when the opportunity came to give them the gift of colour as I should’ve done the first time, I couldn’t resist. “It was a real mixture of emotions; Jared’s reaction was so instantaneous I had a real teary moment enjoying him finally see the colour of all that surrounds him. “But for Brock it didn’t fall into place so quickly and he was visibly frustrated initially, especially when everything was working for his brother. Jared said: “It was completely life-changing, it’s an experience that is quite hard to put into words. “I now take my glasses with me everywhere, so now I can experience at any time, just how beautiful the world is. “After seeing the sunrise, my favourite colour is now orange, it’s one of the most spectacular things I’ve seen.